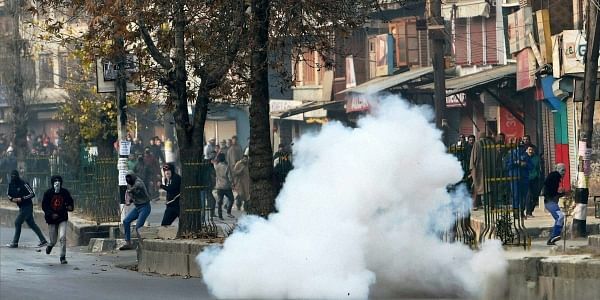 SRINAGAR: With the unrest in the Valley entering 161st day today, the moderate separatist leader and cleric Mirwaiz Umar Farooq on Friday hinted at “long-term struggle” saying they will be coming up with an annual “protest programme” soon. “For taking the ongoing agitation forward, people should work toward a long-term goal and prepare themselves for a long-term struggle,” Mirwaiz said while addressing Friday congregation at historic Jamia Masjid in downtown Srinagar. Mirwaiz alongwith hardline separatist leader Syed Ali Shah Geelani and pro-independence JKLF chairman Mohammad Yasin Malik are spearheading the ongoing agitation in the Valley. Kashmir has been witnessing unrest after killing of 21-year-old Hizbul Mujahideen commander Burhan Wani in an encounter with security forces in South Kashmir on July 8. At least 94 people have been killed, more than 13000 injured and over 8000 arrested in over five months of unrest in the Valley. Mirwaiz said the separatist leaders before taking any decision about “long term struggle” would first take every segment of the society into confidence. “We will then only come up with an annual protest programme, which would send a message not only to the entire world but also take Kashmiris near their ultimate goal of the exercise of right to self-determination,” he said. The separatist leaders, who have been issuing weekly protest and shutdown programme from July 9, had recently scaled down the shutdown. They have relaxed shutdown for five days in a week and called for strike only on Friday and Saturday. Kashmir witnessed continuously shutdown for over four months after Burhan’s killing without any break. On November 17, separatists for the first time during the ongoing unrest announced two full-day relaxation in shutdown. Since then, they have been relaxing shutdown on weekend. Mirwaiz asked people to follow in letter and spirit the protest programme given by the separatist leaders. “The separatist leadership was committed towards Kashmir cause and people would continue to follow the programmes given by us”. He said Government of India and PDP-BJP coalition government in the State by unleashing a “reign of terror” on the people were pushing Kashmiri youth toward violence. Mirwaiz warned New Delhi that the more force it would use to muzzle the voice of Kashmiris, the more passionate would Kashmiris be for their right to self-determination.